Finding the best travel rewards credit cards may seem like a daunting task. Depending on your credit score and other factors which determine your creditworthiness, willingness to pay an annual fee, sensitivity to interest rates, and desire for a rewards program, the list of criteria can get quite long. Keep in mind – the actual number of miles you earn will depend on your credit limit and purchase activity. We updated this page for 2019. With the Chase Sapphire Preferred® credit card cardholders can accumulate rewards at a rate of 2X points per dollar spent on travel and dining at restaurants and earn 1 point per dollar spent on all other purchases. New Cardmembers, who qualify, earn 60,000 bonus points after spending $4,000 on purchases in the first 3 months from account opening. Chase Sapphire Preferred® credit card cardholders get 25% more value when redeeming points for airfare, hotels, car rentals and cruises booked through Chase Ultimate Rewards®. What that means, for example, 60,000 points are worth $750 towards travel. The Capital One® Venture® Rewards Credit Card cardmembers earn rewards at a rate of 2X miles per dollar on every purchase, every day. Through January 2020 cardmembers earn 10X miles per dollar on thousands of hotels at hotels.com. See hotels.com/venture for more details. If you qualify there is a one-time bonus offer of 50,000 miles once you spend $3,000 on purchases within 3 months from account opening, that’s equal to $500 in travel. Earned miles can be easy to redeem as statement credits toward the cost of your travel purchase, making this a flexible option among travel credit cards. Fly any airline and stay at any hotel, anytime, there are no blackout dates. Alternatively, you can transfer your miles to over 12 leading travel loyalty programs. Keep in mind that redemption for past travel purchases must be made within 90 days from the date your travel purchase posts to your account. 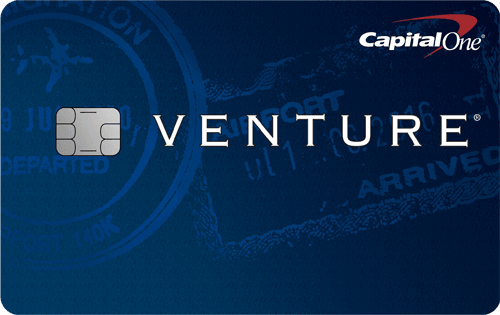 The Capital One® Venture® Rewards Credit Card doesn’t impose a foreign transaction fee, which means you won’t pay a transaction fee to Capital One when using this card to make a purchase outside of the United States. Use your card to book travel purchases on any website or app. Fly any airline, stay at any hotel, anytime; no blackout dates. Miles won’t expire for the life of the account and there’s no limit to how many you can earn. There is a $0 introductory annual fee for the first year and a $95 annual fee applies thereafter. We think the sought-after Barclaycard Arrival Plus® World Elite Mastercard® is one of the best credit cards for international travel. Eligible new cardmembers enjoy 70,000 bonus miles after spending $5,000 on purchases in the first 90 days. Cardmembers also get 5% miles back to use toward your next redemption, every time you redeem. Earn unlimited 2X miles per $1 spent on every purchase made with the card. As long as the account remains open, active and in good standing, miles don’t expire. 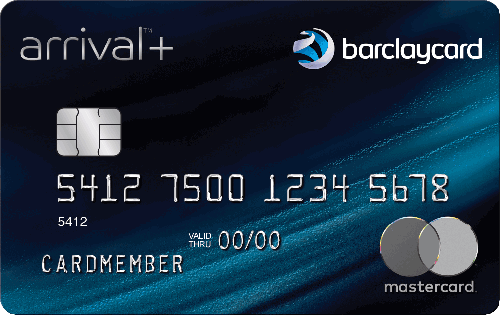 Barclaycard Arrival Plus® World Elite Mastercard® doesn’t charge foreign transaction fees. The annual fee is $89, waived first year. 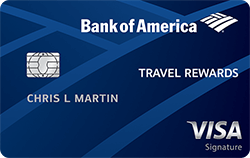 We think the Bank of America® Travel Rewards credit card is one of the best no annual fee travel cards available. Cardmembers earn unlimited 1.5 points per $1 spent on all purchases and your points don’t expire. New Cardmembers who qualify earn 25,000 online bonus points after making at least $1,000 in purchases in the first 90 days of account opening, that can be redeemed for a $250 statement credit toward travel purchases. When you have an active Bank of America® checking or savings account you can get an additional 10% customer points bonus on every purchase. Bank of America Preferred Rewards clients could be eligible to increase that customer points bonus to 25% – 75%. Getting the most out of your travel credit cards is a simple matter of understanding their terms and conditions, and staying organized. For many travelers, frequent flier miles and points programs allow for discounted travel and some fun perks. Staying on top of the rewards rates and best practices for redeeming points and miles can seem daunting. Rewards cards offer a great opportunity to save money on travel. Using your credit card responsibly, miles, points, and cash back rewards, based on your personal spending behavior, can add up. Cardmembers should never charge more to their travel rewards credit cards than they can pay off upon receiving the bill. Interest charges often add up faster than the value of the travel rewards, diminishing or even negating the positive effect a rewards card can have on a financial situation. Having too many credit cards could present a risk for many consumers especially if you tend to carry a balance. Being able to get low-interest rates on revolving credit, installment loans, and even necessities like car insurance depend heavily on an individual’s credit score and other factors affecting creditworthiness. Keeping balances below 30% of the credit limit for each card is crucial for your credit health. Running up balances on travel cards could make other parts of your budget difficult to manage if you are unable to meet your financial obligations (pay off your balances). Emergencies happen to everyone, and when they strike just days before a big trip or while you are away, they can mean bad news for your vacation. 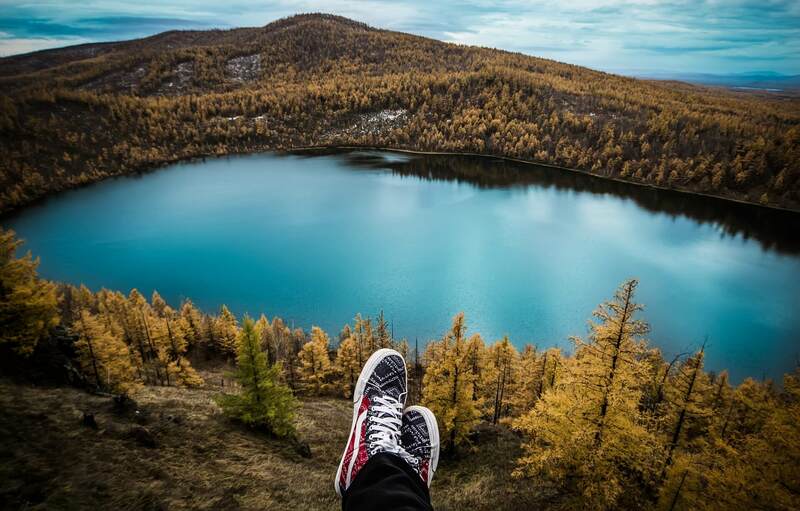 Trip Cancellation Insurance won’t give you back the time you lost, but it will help take some of the financial pain out of having to back out of your vacation on short notice. Depending on the card terms, Trip Cancellation Insurance may reimburse you up to a specified limit for out-of-pocket expenses already charged to the card if you can show that canceling your travel plans was the result of a true unforeseen emergency. A car accident while on vacation can be a nightmare. Emergency and Roadside Assistance via a credit card’s emergency assistance hotline may offer immediate help in the form of assistance and referral. You may be responsible for the cost of services or goods provided. Roadside assistance may help arrange to have the vehicle towed to a repair shop. If you don’t speak the local language, a translator may be available to assist you in making necessary arrangements for medical care or getting a ride back to your living quarters. If your baggage doesn’t show up when you do and panic sets in, Lost Luggage Locator Service can help you through the airline’s claim procedures or can arrange shipment of replacement of certain items should an airline or common carrier lose your checked luggage. However, you may be responsible for the cost of any replacement items shipped to you. Baggage Delay Insurance may reimburse you for essential purchases such as toiletries and clothing for baggage delays over 6 hours by passenger carrier up to $100 a day for 5 days. Both offer a welcome solution if your bags are stolen, damaged, or just simply disappear, this is the credit card perk you may want to have in place well in advance of the emergency. While it’s true that insurers are in business to cover every possible what-if’s a few types of travel insurance are worth considering before you leave for your big trip. If you are traveling to a remote overseas location, consider Medical Emergency Coverage and Evacuation Insurance. Potentially risky activities like skiing, parasailing, bungee-jumping, and hunting are good reasons to consider additional insurance, as well. Before you look into any type of travel insurance, check to see if you’re covered by your travel credit card. If reading the fine print is too mind-numbing and time-consuming, place a quick call to the customer service number on the back of your card and speak with an expert and be sure to ask them to follow up confirming the information with an email. The first rule of maximizing travel rewards with any card is to become familiar with the terms and conditions of the card, for example, what is the Annual Percentage Rate (APR) for purchases, is there an annual fee, does the card charge foreign transaction fees, is there an introductory APR offer? When shopping for a new card, take a close look and see if the card has a bonus offer that you qualify for, as these can often be lucrative if you can meet the spend requirements. If you resolve to pay the balance on any travel rewards card in full each month and never use the card for cash advances, or for balance transfers (that are not a part of an introductory APR offer) you can worry less about interest rates and fees and really focus on choosing the best rewards rates. Try to match the card to your spending habits. For example, if you know you must fill your gas tank three times each week due to a long commute, a card that offers extra points or miles for purchases at gas stations is probably a great bet. Keep an eye out for other ways to earn points, like downloading apps, signing up for newsletters, and social media contests. These programs are specific to the card issuer and/or affiliated hotel chain or airline. Using a credit card outside the United States can cost extra in the form of foreign transaction fees. Although it may seem insignificant at first glance (2-3% is common) this fee can really add up over the course of a trip. Also, be aware that even from the United States, making purchases with your credit card from a retailer overseas may trigger a foreign transaction fee. Many cards offer no foreign transaction fees and great travel rewards programs. First, the good news. There are a few rewards cards that are available for consumers with poor credit, they are not travel rewards cards so they may not have all the perks and benefits of a travel rewards card – but some do offer rewards on your eligible purchases made with the card. That said, travel rewards cards are generally reserved for individuals with good or excellent credit. Keep in mind that other factors, in addition to your credit score, can and may affect credit card approval. Check out credit card offers from our partners by clicking here. If your sights are set on a travel rewards card, it’s a good idea to begin work on raising your credit score as soon as possible. The first step is to immediately check your credit reports and your credit score. You can do this for free on Credit Sesame. We’ll show you your credit score, updated monthly. We’ll also provide you a free credit report card and an analysis of the factors which could be holding down your score. You should also consider requesting a free copy of your credit report once every year from each of the major credit bureaus, Equifax, Experian and TransUnion. Do this by visiting AnnualCreditReport.com. Check your credit reports carefully for errors. Under the Fair Credit Reporting Act, all consumers have the right to request an additional free copy of their credit report when a credit application is denied. If you have a denial letter, it will tell you how to request that copy and provide the exact reasons for the denial to help you zero in on areas to improve. If you find a mistake in one or more of your credit reports, you have the right to ask the credit bureau to verify the information with the reporting creditor. If they cannot verify that the information is correct, they must remove it from your report. Don’t neglect this step. Some credit reporting errors can affect your score. If you have credit cards that are charged past 30% of the total available credit amount, pay those down as soon as possible (but don’t ignore any other credit obligations you may have). The higher your utilization, the lower your score. There is no magic number, but the lower your balances, the better. You can generally achieve a great score if your balances are no more than 30% of the limits on each card. According to Credit Sesame member data, consumers with maxed out cards tend to have lower credit scores. Be sure to check the credit card issuer’s website for rates, fees, rewards, benefits and other information before you apply. Planning a vacation or trip can be a fun and exciting process. Do some research to see if the issuer branded credit cards (Visa, Mastercard, Discover, American Express) you plan to carry are accepted at your travel destinations. You may want to consider bringing additional methods of payment since issuer acceptance can vary based on travel location and the merchant. When you choose a great travel rewards credit card and use it wisely, the rewards, perks, and points can help you get farther, experience more, and possibly even stay longer without increasing your travel budget. Independent Review Disclosure: All the information about the Bank of America® Travel Rewards credit card and the Chase Sapphire Preferred® credit card has been collected independently by CreditSesame.com and has not been reviewed or provided by the issuers of these cards. The Bank of America® Travel Rewards credit card and the Chase Sapphire Preferred® credit card are not available through CreditSesame.com.